Download PDF, above right, for Fiat's 2013 full year and fourth-quarter results. TURIN -- Fiat Group today reported fourth-quarter earnings below analysts' expectations and cut its 2014 guidance more than expected, as a profit drop in Latin America overwhelmed gains by Chrysler in the United States. Trading profit rose 5 percent in the quarter to 931 million euros ($1.27 billion) from 887 million euros from a year earlier, Fiat said. The result was lower than an analysts' consensus of 1.15 billion euros. Trading profit is earnings before interest, tax and one-time items. Revenue rose 10 percent to 24 billion euros, Fiat said. Chrysler today posted fourth-quarter net income of $1.6 billion (1.17 billion euros), aided by a one-time tax gain of $962 million. A year earlier, Chrysler netted $378 million. Full-year net income was $2.8 billion for 2013, up from $1.7 billion a year earlier, as Chrysler posted its third straight annual profit. Fiat forecast that group trading profit this year will rise to between 3.6 billion euros and 4 billion euros from 3.39 billion euros in 2013. The forecast is lower than a range of 4.7 billion to 5.2 billion euros given in October 2012 and below analysts forecast of 4.15 billion euros. Fiat also said today that it would not pay a dividend on 2013 earnings to preserve liquidity after taking full control of Chrysler earlier this month. "The results were disappointing and fell short of expectations. Fiat is a restructuring story. It needs time," said Gabriele Roghi, head of investment at Invest Banca. Chrysler's increased earnings were helped by higher U.S. sales and the launch of the 2014 Jeep Cherokee, which went on sale in the United States in late October after a two-month delay. The company's adjusted net income for the quarter was $659 million. Fourth-quarter revenues advanced 24 percent to $21.2 billion, helped in part because the automaker held over 25,000 Jeep Cherokees past the Oct. 1 start of the quarter to recalibrate their transmission software. Chrysler revenues for 2013 were $72.1 billion, up 10 percent from $65.8 billion in 2012. Chrysler's U.S. market share rose two-tenths of a percentage point to 11.6 percent in 2013 on U.S. sales of 1.8 million vehicles, according to the Automotive News data center. The automaker's U.S. sales were up 9 percent in 2013, buoyed by sales of its reengineered pickup line and SUVs. Globally, Chrysler said it delivered just over 2.6 million vehicles in 2013, including vehicles it makes for other automakers, primarily for parent company Fiat. The automaker said it had sales of 592,000 units during the fourth quarter, up 11 percent from the same period a year ago. The company reported cash of $13.3 billion, up from $11.6 billion one year ago, and said it had a gross industrial debt of $12.3 billion at the end of 2013, down from the $12.6 billion it had at the same point in 2012. This is the first time that Chrysler Group has reported more cash than debt since the company was created from its U.S. government-backed bankruptcy reorganization in 2009. Chrysler and Latin America have become increasingly important to Fiat as its business in Europe struggles with a six-year slump in auto sales. Operations in Brazil, which make up about one fifth of Fiat's core earnings, have been hit by an end to car sales incentives and currency effects. Fiat's fourth-quarter sales in Brazil fell 18 percent, outpacing the market's 3 percent decline as the carmaker faces stiffer competition. Trading profit in Latin America plunged 82 percent to 44 million euros in the period. "Latin America, which used to be the cash cow, is struggling," Paul Newton, an IHS automotive analyst, said in an interview with Bloomberg TV. The group managed to reduce its losses in Europe, helped by a strong performance of its luxury brands, especially Maserati. Fiat's Europe losses narrowed to 50 million euros in the final three months of 2013 from a deficit of 120 million euros a year earlier, also aided by cost cuts as deliveries fell 5 percent. Fiat's disappointing profit prospects underscore the rationale behind CEO Sergio Marchionne's push to take over Chrysler and reduce the Italian manufacturer's reliance on Europe. Fiat today selected the New York Stock Exchange for the primary listing for the combined company, which will be renamed Fiat Chrysler Automobiles NV. The shares will have a secondary listing in Milan. The combined automaker's parent company will be based in the Netherlands, with a fiscal domicile in the U.K. for tax purposes, the automaker said today. The U.K. tax base mirrors a structure that Marchionne created for CNH Industrial NV, Fiat's truck and tractor affiliate, which is also based in the Netherlands. 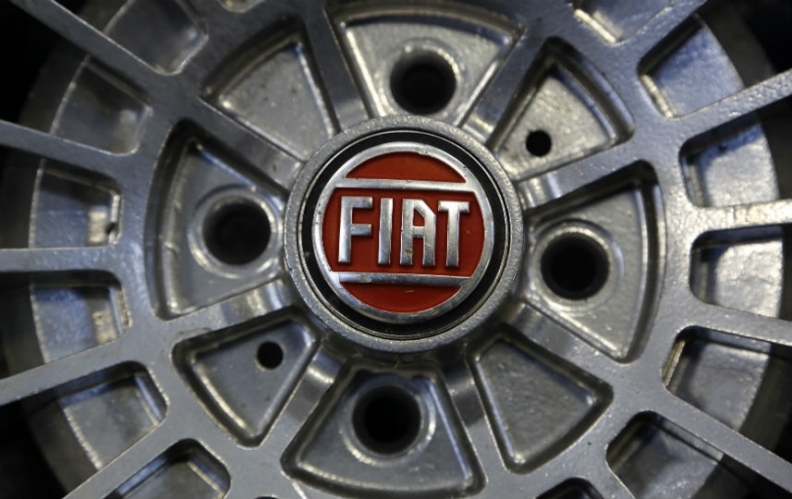 Fiat bought the 41.5 percent Chrysler stake held by a United Auto Workers retiree health-care trust to gain full control of the U.S. business. The combination creates the world's seventh-largest auto manufacturer, according to Marchionne.